Four years ago today I woke up to several locks of long brown hair strewn throughout my house. My first thought was that my daughter was suffering from a rapid onset of some rare disease that was causing her hair to fall out. For real, that was my first thought! Because it did not immediately occur to me that my good, kind, well-behaved, obedient daughter would cut her own hair with kid scissors. Not to mention that she was not a toddler at the time. She was 4, like 4 going on 5, 4. Eventually, logic caught up to my panic and convinced me that it was more likely that my well-mannered, almost 5 year old daughter, did in fact, cut her own silky, smooth, shampoo commercial hair. I was upset. Okay, upset may be a bit of an understatement. You guys, she had the most beautiful hair. From the time she was a baby, it was so dark and shiny and grew in perfectly! She never even had a weird baby mullet or anything. Plus, did I mention she was almost 5 and she knew not to cut her hair with scissors? I set out in search of my daughter to asses the damage and dole out a consequence. I couldn’t find her anywhere! It was as if directly after cutting her hair all her common sense returned and she used that common sense to hide from me. As I was huffing around searching for her, increasingly frustrated that now on top of everything else, she was hiding from me, I realized something. It was September 11th. In an instant, none of it mattered. I was no longer angry, no longer frustrated, no longer lamenting her beautiful hair. 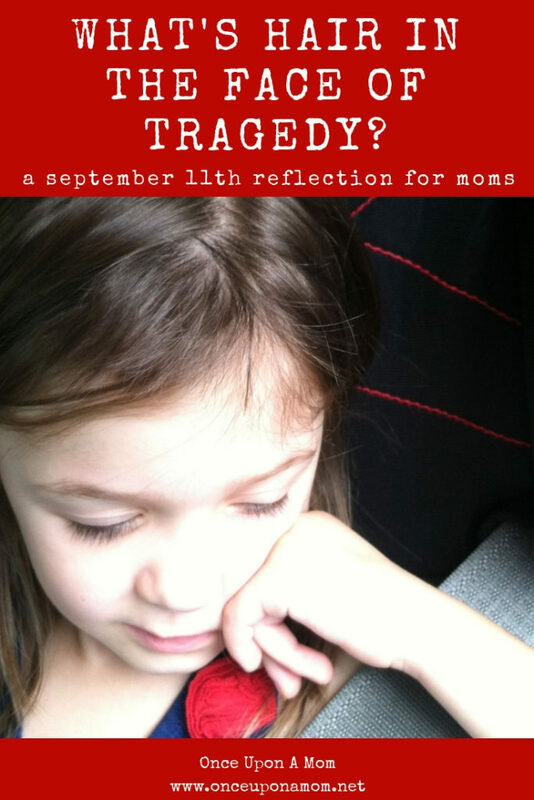 What’s hair in the face of tragedy? I found my girl in her bed, hiding under blankets and stuffed animals, feeling remorse for what she had done and scared of what my reaction might be. I dug through the blankets, and pulled my sweet, scared little girl in close for a hug. “Hey,” I whispered softly, “It’s okay.” In that moment it had never felt more okay. We were safe, we were together, and that’s all that mattered. I know that my kids may never truly understand September 11th the way I do because they weren’t alive then. Every year I try to impart the magnitude of it, the feelings I had that day, and every year I feel I fall short. But what I can teach them is the importance of remembering. On this particular September 11th, 4 years ago, remembering made all the difference. 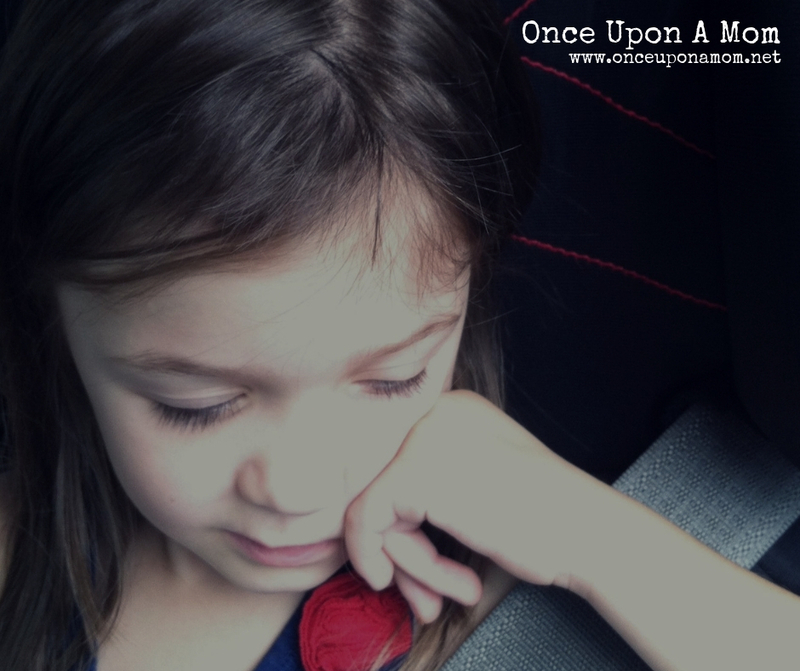 Remembering allowed me to show grace to my daughter just when she needed it. Remembering allowed me to focus on what really mattered and let go of the insignificant. I promise to remember-to use the remembering to live better, to appreciate more, to love better and harder. And I will teach my children to remember too. We will not forget you. We will never forget.